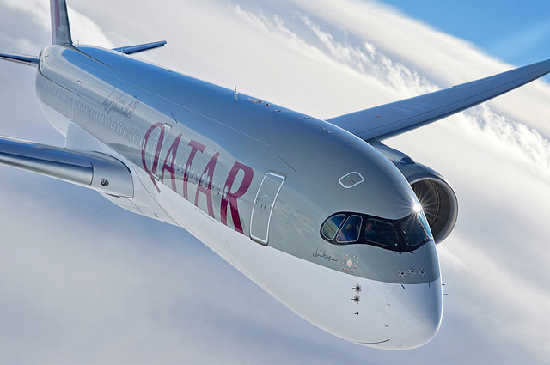 Popular Gulf airline Qatar Airways has added a second daily non-stop flight between John F. Kennedy Airport (JFK) in New York City and Hamad International Airport (DOH) in Doha. The new daily QR Flight 704 leaves JFK airport in NYC from Terminal 7 at 11:15 hrs and lands at Hamad International Airport in Doha at 06:45 hrs local time (Qatar). On the return trip, QR Flight 703 will arrive in JFK’s Terminal 7 at 09:15 hrs, providing convenient access to the city and connecting flights across the U.S.
Qatar Airways is using the A350 plane for the new Doha-NYC-Doha flights. Besides New York, Qatar Airways currently operates flights to Philadelphia and Boston. Qatar Airways will start flights from Atlanta on June 1, 2016. Chennai Airport, closed for the last five days owing to heavy floods in the city, has reopened partially. The airport authorities have managed to clear water off the runway. But airport officials are only allowing departures during day time. Chennai airport is expected to be fully operational starting Sunday, December 6, 2015. Heavy rains lashing Chennai and its neighboring areas triggered heavy flooding that led to nearly 270 deaths and evacuation of several hundred thousand people from low-lying areas. Flights into and out of the South Indian city of Chennai continue to be severely affected because of the heavy rains. With the airport tarmac still remaining under water, the Airport Authority of India has ordered the Chennai International Airport to remain closed till December 6, 2015. 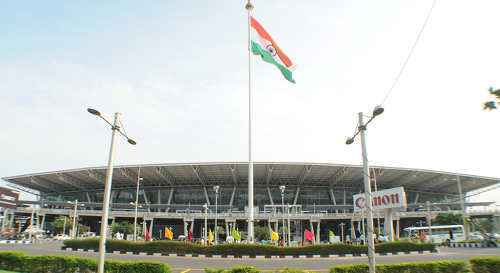 Chennai airport has been closed since December 1. Indian-Americans with tickets to Chennai should contact their travel agent or airlines to reroute their tickets to neighboring cities like Bengaluru or Hyderabad. Several hundred passengers have been stranded at the Chennai airport and local authorities are trying to evacuate them by buses. But since the roads leading out of the airport have been damaged by the heavy rains, the evacuation of passengers is proving difficult. Several international airlines including Singapore Airlines, Lufthansa, Air India, British Airways, Malaysia Airlines, Qatar Airways, Etihad Airways, and Emirates offer services to Chennai. Nagpur is Qatar Airways’ 13th destination in India with the airline introducing a daily service between Doha and Nagpur. Average flight time is just over four hours. The choice of Nagpur, Maharashtra’s third largest city, is not surprising since it is a major trade and business center. The Government of India has identified Nagpur as one of the flagship smart metropolises and a special economic zone, multi-modal international cargo hub and a new airport are in the pipeline. For the Nagpur service, Qatar Airways is deploying the A320 aircraft with 144 seats in a two-class configuration of 12 seats in Business Class and 132 seats in Economy. Besides Nagpur, Qatar Airways offers services to 12 other Indian cities (Ahmedabad, Amritsar, Bangalore, Chennai, Goa, Hyderabad, Kochi, Kolkata, Kozhikode, Mumbai, New Delhi, and Thiruvananthapuram). In 2016, Qatar Airways will add three new U.S. cities to its route map – Los Angeles, Boston and Atlanta. So U.S. desis in the three cities will have more flying options while visiting family and friends in India.